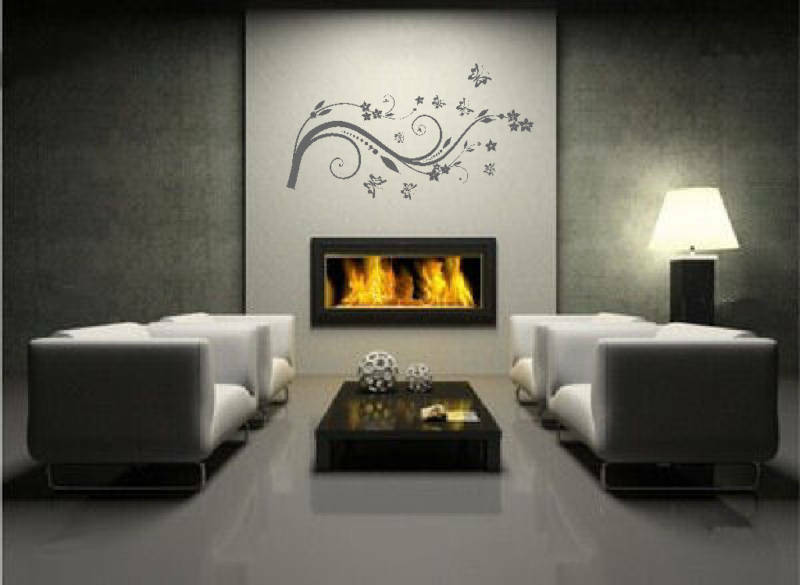 Gently waving in the breeze, our Stylish Flower Design wall sticker will bring the beauty of the great outdoors right into your living room. 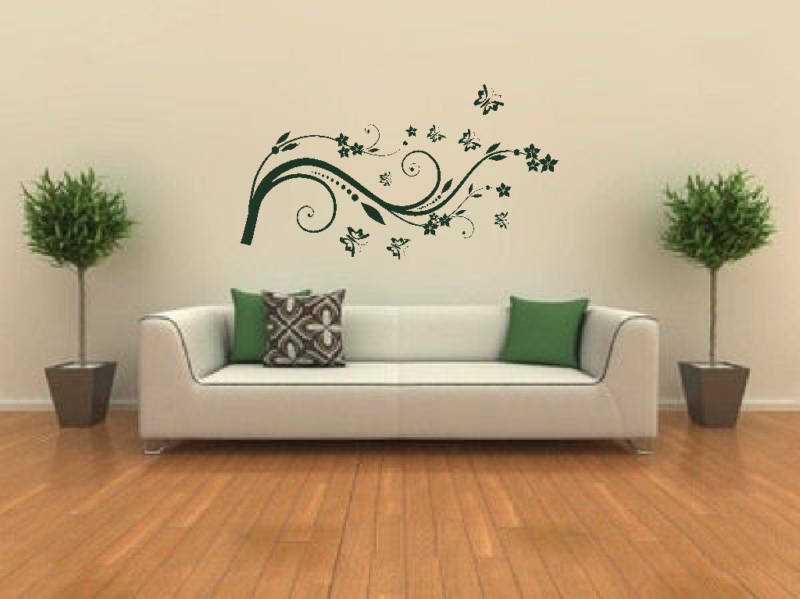 The intricate design is embellished with star shaped flowers and delicate butterfly motifs, all gathered around a central vine. This is the perfect decal for an artistic family or an individual who wants a touch of the bohemian in their home. 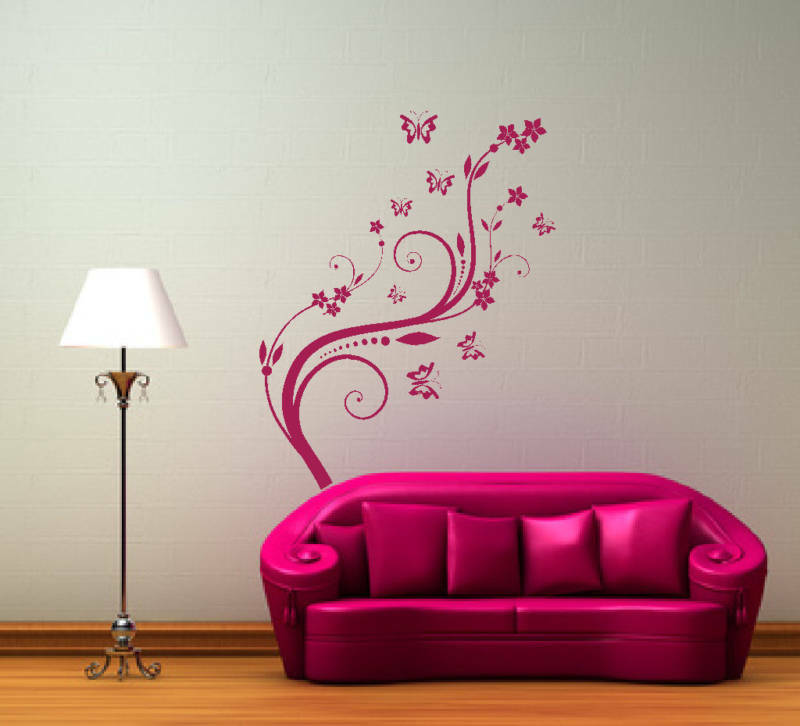 Wall stickers are a fast and no-mess method of decorating your surroundings. 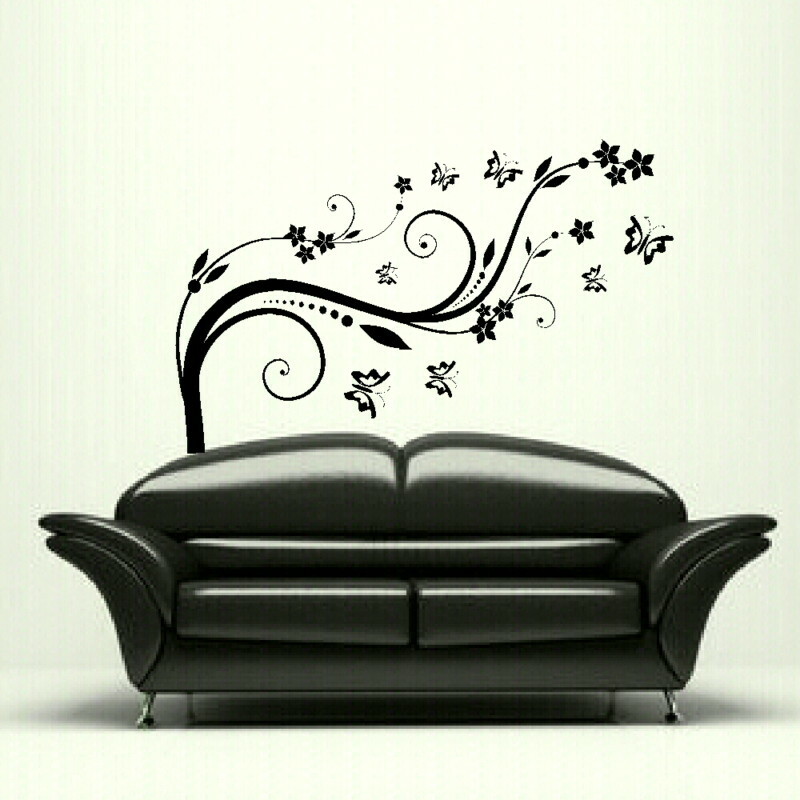 We are pleased to offer each customer their chosen decal in a huge range of colours and a choice of three different sizing options.